SCVHistory.com LW3166 | Film-Arts | Call Sheet for 'Space Cowboys' at Agua Dulce Airport, Halfway House Cafe, 7-23-1999. 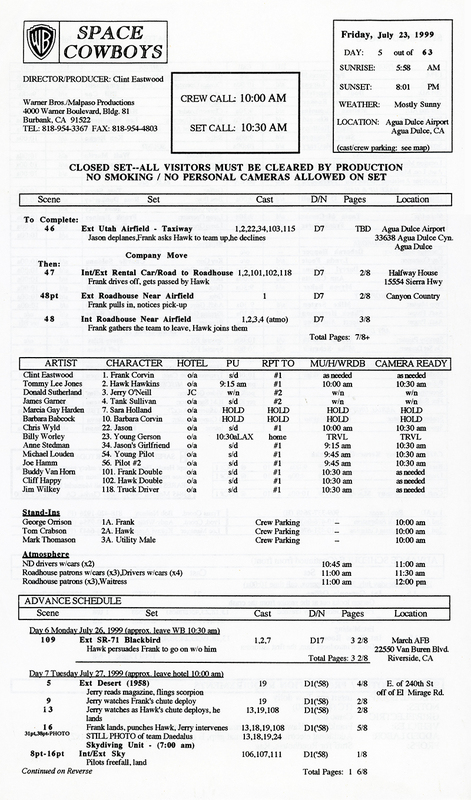 July 23, 1999 — Call sheet for "Space Cowboys" (Warner Bros. 2000), fifth of 63 planned shooting days. 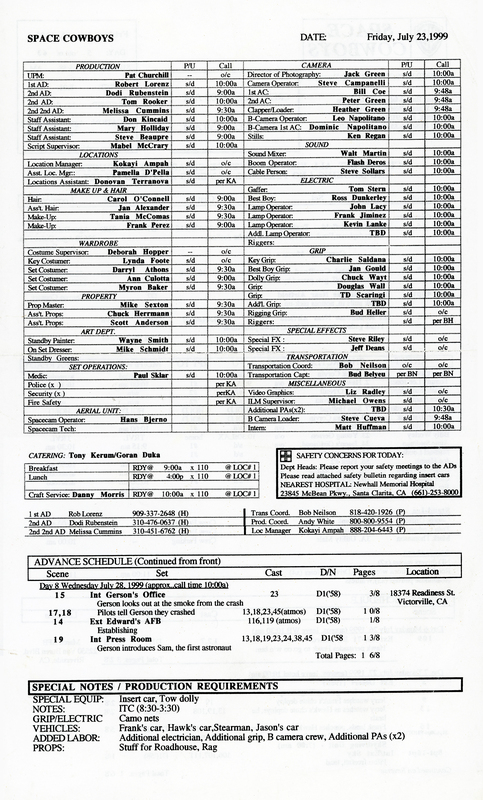 Locations: Agua Dulce Airport, 33638 Agua Dulce Canyon Road; and The Halfway House Cafe, 15564 Sierra Highway, Canyon Country (erroneously 15554). Written by Ken Kaufman and Howard Klausner, directed by Clint Eastwood, "Space Cowboys" stars Eastwood, Tommy Lee Jones, Donald Sutherland and James Garner. LW3166: 9600 dpi jpeg from original call sheet purchased 2017 by Leon Worden.